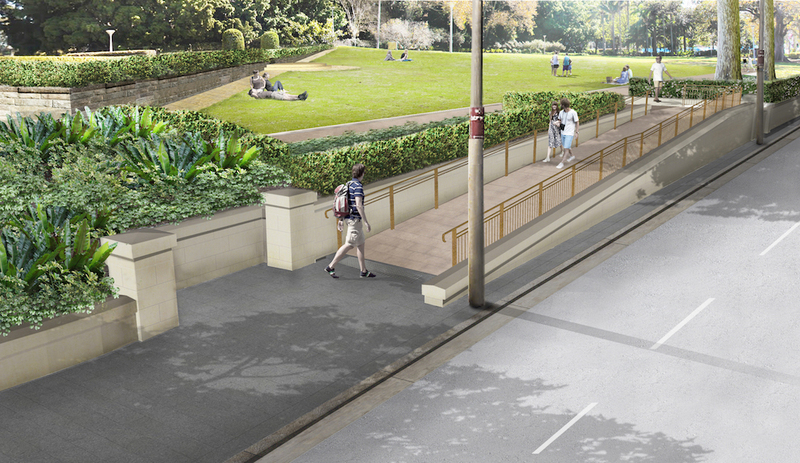 Environmental Partnership was engaged as its Sydney Collaboration TDEP (see Collaborations) to develop a Refined Masterplan for Hyde Park. The aim was to analyse the parks function and fabric through a comprehensive and collaborative process from which a suite of improvement opportunities could be identified. The focus of the improvements were diverse but included access, heritage conservation, usability and amenity, event management, and sustainability. To address this complex challenge TDEP managed a project team including landscape architects, heritage planners, engineers, arborists, irrigation specialists and planners. Hyde Park is embedded in the identity and fabric of Sydney City through its historical evolution and its enduring role as a verdant oasis at the heart of the CBD. The park operates at many levels: walk to work, or across the city, as a place for lunching and meeting or relaxing. Beyond the physical, the park provides an important reference point to our history – to the initial dedication of the open space and the thoughtful and considered design structure of the park. 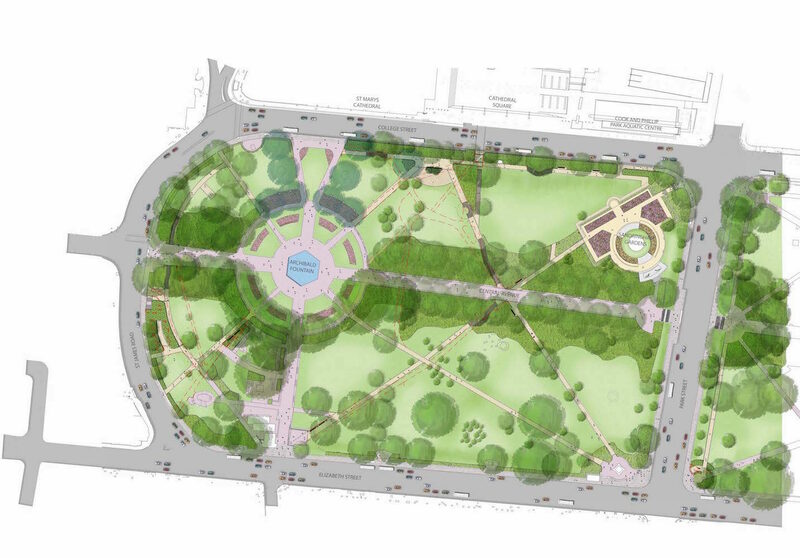 Conservation principles guided the development of the masterplan to ensure this culturally significant site is restored and enhanced to reflect the vision and principles of its original design whilst integrating contemporary finishes and technology to meet the demands of the parks evolving roles. The park is a highly sensitive heritage environment and the success of the project has relied on a total collaboration between the TDEP team, the project heritage specialists and City Arborists and the other supporting technical inputs.